The best water purification tablets work in much the same way and are all effective. They usually contain either chlorine, chlorine dioxide, or iodine. The purification tablets are put into the source water for a certain time, the duration depends on the type of tablet you use. 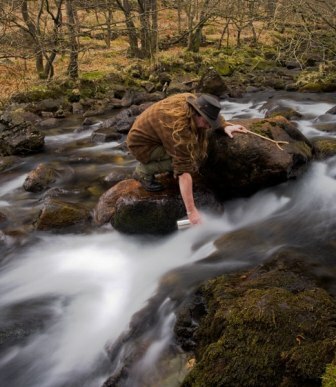 Water purification tablets are small and easy to carry, and have been around a long time. They have been used in developing countries for decades and during wars to make sure soldiers had access to clean water. These tablets are ideal for anyone who likes to hike, camp, or travel internationally and wants to ensure access to safe drinking water. Water purification tablets are also useful to keep on hand for emergencies or after natural disasters. The biggest drawback on most of these tablets is the strong taste of iodine or chlorine in the water. The best way to get rid of the taste is to put the tablet in the water and then let it sit uncovered for a while. The following are brief reviews on three of the best water purification tablets that we have found and reviewed from personal use, water purification certifications, and consumer reviews. Obviously, there is not much to them, so the reviews are brief. All are used and recommended by reputable organizations. We don’t believe one is much better than the other. It comes down to how much water you need to purify and which taste you prefer. Depending on how many tablets you want or need, you can get a good supply for under $25. The active ingredient in these tablets is iodine. This package comes with both the iodine tablets and taste neutralizing tablets. The taste factor makes it our top pick. You get safe water to drink within 30 minutes. It is proven effective against giardia and other microorganisms when used as directed. The iodine tables and neutralizing tablets come in small, lightweight bottles. One bottle of tablets treats up to 25 quarts of water. The Aquatabs are effervescent tablets which use the EPA-approved active ingredient NaDCC. When added to water, Aquatabs dissolve and release a measured dose of hypochlorous acid (free available chlorine), a relatively safe water disinfectant. Each package has 100 sealed tablets with a 5-year shelf life. One tablet will purify 2 quarts of water. The Aquatab is the only water purification tablet with NSF 60 certification and approved formula for routine use by the World Health Organization (WHO). The Katadyn water purification tablets are effective against bacteria, viruses, cryptosporidium, giardia and other microorganisms. This product meets the EPA microbiological water purifier test standards. Each chlorine dioxide tablets treats 1 quart of water and the chlorine aftertaste is minimal.